Ice Air Fan Coil Units (FCU) are available in a variety of configurations designed for quiet, energy saving operation and design flexibility. Ice Air FCUs utilize the highest quality materials and manufacturing practices. Using optional ECM motors, Ice Air FCUs are highly efficient while providing improved indoor air quality. Maintaining the highest quality product means Ice Air products meet all UL standards and conform to ASHRAE 90.1, local building codes and energy standards. Since every project is different with distinctive needs outside of providing comfort to the space, our FCU configurations are available with a wide variety of accessories and options such as 2-pipe and 4-pipe systems, customized valve packages and customized sheet metal to create a custom design tailored to the needs of the project. All FCUs are ETL-listed for safety in the U.S. and Canada. No other selection of fan coils is more complete than Ice Air’s. 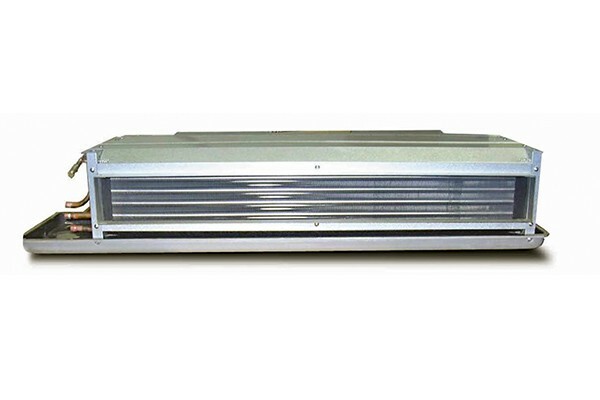 With everything from our easily adaptable Horizontal Concealed FCU for concealed or above-ceiling mounting that saves floor space, making it an ideal choice for use in new construction and retrofit applications to our Ultra-Thin Horizontal FCU designed specifically for under-ceiling mounting, you’ll find Ice Air FCU units offering the exceptional flexibility and availability you’re looking for.